High quality products, no retail markup. As recently as 20 years ago, the thought of giving customers direct access to manufacturers was virtually unheard of. Aside from a handful of brands who used the multi-level marketing model, all commerce happened through retail stores — period. But with the proliferation of technology over the last two decades, so much has changed about the way brands and consumers interact. Nowadays you can go straight to the source for quality products without the markup. 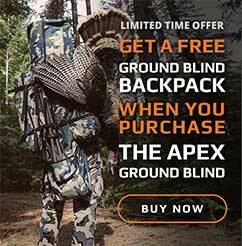 But in addition to being able to offer an affordable price point to our customer base, we made the direct-to-consumer model our foundation for XENEK because we knew that building our company around the feedback of experienced hunters would help us create superior products designed especially to combat specific challenges in the field. Value For you, innovation with you. Our relationships with customers and members of our affiliate program have allowed us to develop products that improve your hunting time in meaningful ways, and our goal is to keep doing so for each product we develop. With that in mind, we’d love to hear from you! Write us directly; follow us on Instagram, Twitter, and Facebook; review our products; and check out our affiliate program to give us your feedback and join the XENEK conversation. We look forward to your input!